The United States will be the principal focus of Iberia's long-haul growth strategy in 2011, as it launches two new routes, one between Los Angeles and Madrid, and another between Miami and Barcelona. Starting in March 28th, the Spanish company will operate three non-stop flights weekly from Los Angeles–on Mondays, Wednesdays, and Saturdays–with an additional Thursday flight in July-September. Iberia expects to carry some 68,000 passengers on the Los Angeles route in the first year of operation. The flights will depart Los Angeles at 17:55 h. and arrive in Madrid at 14:15 h. the following day. In Madrid passengers can continue to another 36 destinations in Spain, 38 in Europe, 10 in Africa and one in the Middle East (Tel Aviv). The return flight will depart the Spanish capital at 12:35 h. and arrive in Los Angeles at 16:15 h.
The new Miami-Barcelona service begins next March 29th, with flights on Tuesdays, Fridays and Saturdays, departing Miami at 18:45 h. and arriving in Barcelona at 10:35 h. the following day. The return flight will leave at 13:30 h. to reach Miami at 17:10 h. From Barcelona, passengers from Miami can continue to another 16 destinations in Spain and 27 in Europe, Africa and the Middle East, all operated by Vueling, in which Iberia holds a 45% share. These flights to Barcelona are in addition to Iberia's daily Miami-Madrid flights, and brings the total to 10 weekly flights connecting Miami with Spain and, thanks to the numerous connections available in Madrid and Barcelona, with many destinations in the rest of Spain, Europe, Africa, and the Middle East. In the first year of operation, Iberia expects to transport some 64,000 passengers between Miami and Barcelona. The aircraft used on the routes will be 254-seat Airbus A-340/300s, with a 36-seat Business Plus section, recently redesigned, with 2.20 meters of space for each passenger and seats that unfold into flat beds. With these two new routes, the United States is consolidated as Iberia's most important long-haul market. In 2011 Iberia will offer a total of 1,164,000 seats between the United States and Spain, representing a 13% increase from 2010. There will be seat offer increases in Chicago and Boston: larger aircraft (Airbus A-340/600s with 342 seats) will be used in the Chicago-Madrid route and more frequencies will be added to the Boston-Madrid route – six from May to October next year. Iberia will also operate three more weekly flights from New York to Madrid in July and August 2011, up to 17 flights a week during the summer time. These new routes and the increase of seat offer in New York, Chicago and Boston are part of the "joint business agreement" launched on October 1st between Iberia, American Airlines, and British Airways for routes over the North Atlantic, which increase the travel options available to clients of all three airlines, with more frequencies and more destinations, as well as better connections across all three networks. Thanks to this agreement, Iberia has added its code to an increased number of American Airlines flights from Iberia gateways in U.S. to other U.S. cities. Ferran Adrià and Tim Zagat at the book launch at the International Culinary Center in NYC on Oct. 12, 2010. Photo by Gerry Dawes©2010. Ferran: The Inside Story of El Bulli and the Man Who Reinvented Food by Colman Andrews, a book review excerpted from my article on Ferran Adrià in the October issue of Food Arts. Colman Andrews, author ofFerran: The Inside Story of El Bulli and the Man Who Reinvented Food. Photo by Gerry Dawes©2010. 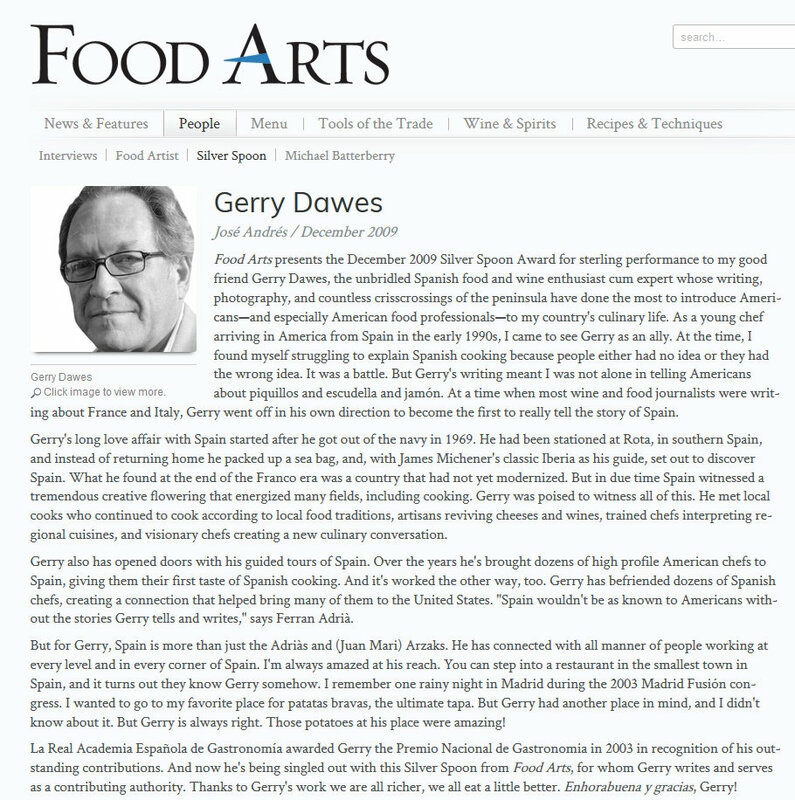 "Colman Andrews first began thinking about writing a book about Ferran Adrià at the historic Culinary Institute at Greystone's "Spain and the World Table," conference in November, 2006. At that conference there was a particular poignant moment that was the climax of what Andrew's calls "a hugely ambitious, highly successful . 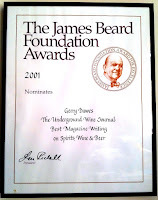 . . program," when The French Laundry's Thomas Keller introduced Ferran Adríà to tumultuous applause. the 2006 Worlds of Flavor Conference dedicated to Spain. at the CIA Worlds of Flavor Conference 2006. Coming after the 2003 The New York Times Sunday Magazine article, Arthur Lubow article that posed the question, "Is Spain the New France? ", the French-trained, Francophile Keller's introduction was something very much like the passing of the torch to Spain and to Adrià, who for nearly a decade now has been called "the world's greatest chef" and his restaurant, elbulli, "the world's greatest restaurant." 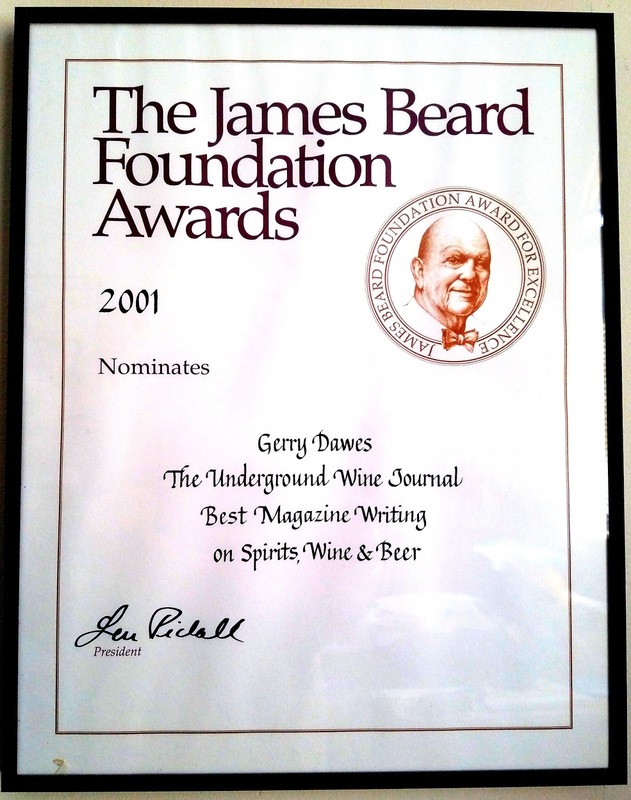 That moment at the CIA-Greystone well may have been the greatest event in Spain's long culinary history. at International Culinary Center in New York. Andrews-with the help of elBulli (the official name of the restaurant) alumni, Ferran Adrià confidant and chef-restaurateur José Andrés "kept after" Ferran for nearly a year. At one point, Andrés told Andrews, "If he thinks this is my idea or your idea, he will maybe not be so eager to say yes. He has to think it is his idea." They both persisted until Ferran told Andrews, "the next time you are Barcelona, we'll talk." 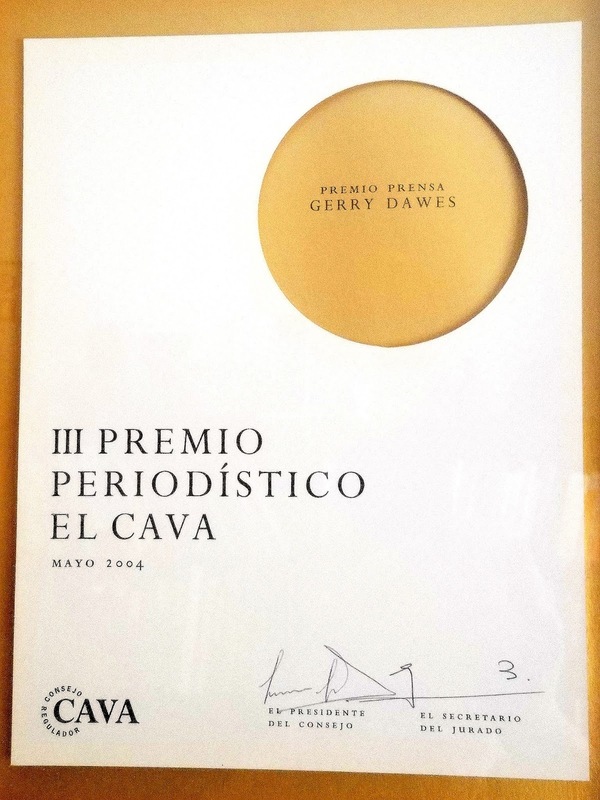 Andrews quickly booked a flight to Barcelona, where he long felt at home since he spent a lot of time there two decades ago writing his seminal book on the food of Catalunya, Catalan Cuisine: Europe's Last Great Culinary Secret (Atheneum, 1988). Andrews managed to pin Ferran down over dinner at Inopia, Ferran's brother Albert's happening tapas bar (he just sold it; see accompanying article). At the end of a meal that featured traditional Spanish tapas-white asparagus , five kinds of olives, jamón Ibérico from Salamanca, esquiexada (Catalan shredded raw salt cod salad), fried artichokes, fried boquerones (anchovies), pa amb tomaquet (Catalan grilled bred rubbed with tomato and garlic) and small grilled shrimp, washed down with a crisp Catalan white wine, Andrews asks himself about whether he had the green light to do this book, "Was this (Ferran's) capitulation?" Boquerones en vinagre with olives and raf tomatoes, Inopia. All those who needed a book on Ferran-I am one of them, even though I have known him for nearly fifteen years-that tells you everything you need to know, but were always afraid to ask, about the man, his restaurant, his dimension-bursting food, his partner Juli Soler and the truth and mythology that surrounds elBulli, this fine, eminently readable treatment is a blessing. Colman Andrews has done a brilliant job with this nearly 300-page book, despite what the misguided review in The New York Times claimed. Ferran Adrià at the International Culinary Center in NYC on Oct. 12, 2010. Readers will come away from Ferran: The Inside Story of El Bulli and the Man Who Reinvented Food with an infinitely greater understanding of the "world's greatest chef," who indeed reinvented (and continues to reinvent) food in the 21st Century. The only negative in the American edition is that there are no photographs; the European edition apparently has them." 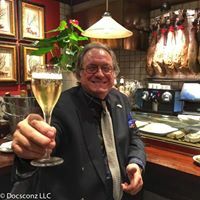 Gerry Dawes has been traveling the Food and Wine Roads of Spain for more than 40 years and is personally acquainted with hundreds of restaurateurs, chefs, winemakers and food-and-wine personalities. We will eat great food, meet a slew of great Basque and Catalan chefs and food personalities, taste wines with a winemaker or two, take lots of great photographs and develop a camaraderie on this trip that will ripen in recounting into vintage nostalgia. Ferran Adrià and Gerry Dawes at Bar Basque, NYC, Oct. 13, 2010.
food aficionado & photographer extraordinarío. 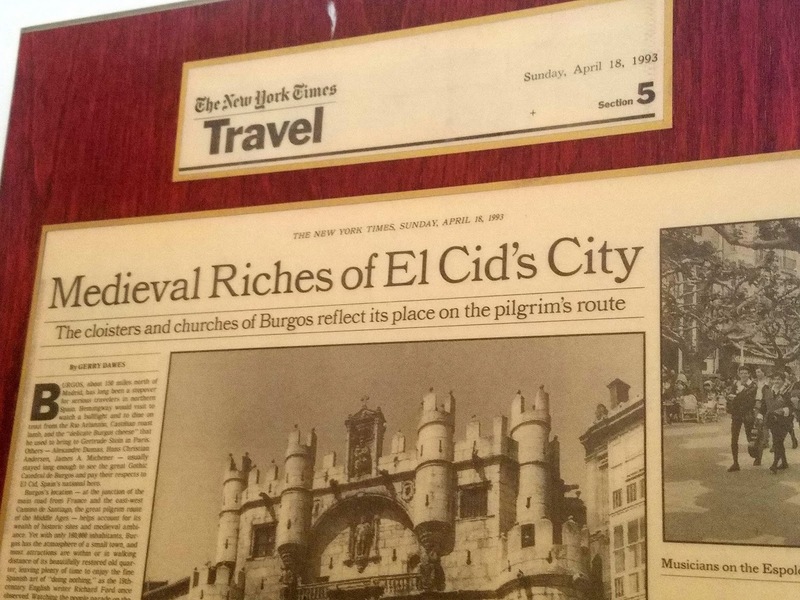 Prices quoted are without airfare from the U.S. to Bilbao and return from Barcelona and include five and four star hotels, all designated restaurant meals with wines selected by Gerry Dawes and bus transportation within Spain. Pricing depends on how many travelers will be joining the tour. Evening departure from the U.S. with each guest arranging own their flights. Gerry Dawes will meet guests at the Bilbao airport. We will take a short trip into Bilbao and see the Guggenheim Museum from the outside and have some tapas in the old quarter. Guggenheim, Bilbao. Photograph by Gerry Dawes©2010. Leaving Bilbao, we will make another short trip to have lunch at Extebarri, where chef-owner Victor Arguinzoniz has taken the art of grilling to a new level. Some experts consider Etxeberri to be among the top restaurants in Spain. After lunch, we will drive an hour to San Sebastián, where we will check into the magnificent turn-of-the-19th century Hotel Maria Cristina by 5 p.m.
Siesta time until dinner at 9:30 p.m. at either Restaurante Arzak, Juan Mari Arzak and daughter Elena’s three-star temple of gastronomy, or Martín Berasategui’s superb three-star Restaurante Martín Berasategui in nearby Lasarte. All three chefs are long-time personal friends of our tour organizer. Sunday morning will be free to explore the old quarter and walk the magnificent la Concha beach and esplanade. Lunch will be a short ride outside San Sebastián at Mugaritz, where Chef Andoni Aduriz is considered one of the most innovative young chefs in the Spanish cocina de vanguardia movement. with a rosado from Navarra at Bar-Restaurante Gandarias. 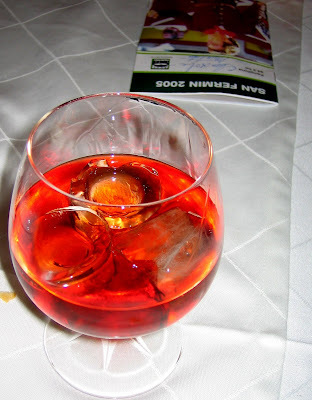 We will return to San Sebastián after lunch and the afternoon will be free until evening when we will go on a optional tapas-hopping tour of San Sebastián’s best pintxos bars and restaurants, with optional gin-tonics, etc. at one of the city’s greatest bars. in San Sebastián, making his classic Gin Tonic. In the morning, we will visit the colorful La Bretxa, Basque caserío farmers' market and San Martín market, then have some tapas in the bars surrounding the markets, some of which may have as many as 50 pintxos lined up along the bar. For lunch, we will take a drive west along the Cantabrian Sea coast of the Bay of Biscay to the wonderful Basque fishing village of Getaria, hometown of Elkano, the first man to circumnavigate the globe; Balenciaga, the famous fashion designer; and Placido Domingo’s mother. First we will have several exceptional seafood appetizers at Elkano, one of the greatest fish and seafood restaurants in the world, then walk down the hill to Kaia (in the same family as Elkano), which has spectacular views of the fishing port from its perch on the hill and offers whole turbot grilled outdoors over a wood fire, accompanied by wines from one of the most enticing wine cellars in nothern Spain. 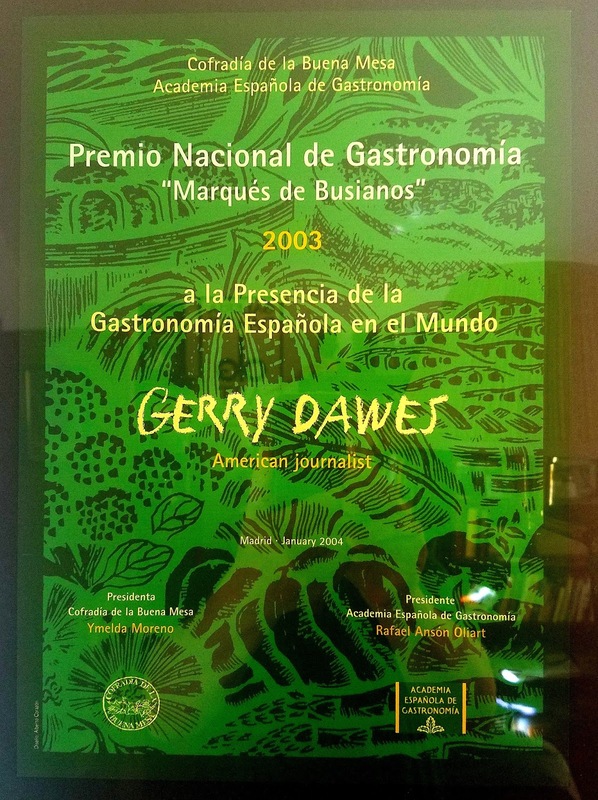 Gerry Dawes has had multiple experiences in both restaurants and we will get special insights into Basque seafood cooking. After some post-prandial patxaran (Basque liquor), we will explore a little more of the coast, then return to San Sebastián where guests will be have free time until dinner. Dinner will be at Rekondo, a game specialist and one of the few restaurants open on Mondays. First, we drive past Rekondo up Monte Igeldo for spectacular Ipanema-like night views of San Sebastián. 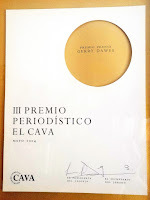 Txomín Rekondo is a friend of Gerry’s and will show us his phenomenal wine cellar, which is one of the best in Europe. In the morning, we will drive south about an hour and a half to visit the wonderful storybook castle-village of Olite in Navarra. A short drive from Olite, we will stop for an early (for Spain) lunch with a Navarra winemaker near Tudela at a restaurant in southern Navarra specializing in the famous vegetables of the Ribera de Navarra region. Wine lunch in southern Navarra. After lunch, we will head for Barcelona, arriving in the early evening, and check into our hotel, La Duquesa de Cardona, which is conveniently located between the Port Vell (the yacht basin) and the beach and the lively Las Ramblas area, which we will visit often during our time in Barcelona. We will check into our hotel and have time to relax before we head for dinner at a restaurant facing the Port Vell, El Suquet de L'Almirall, where chef Quím Marquéz turns out some exceptional interpretations of modern dishes based on traditional Catalan recipes. Marquéz worked at El Bulli and is a very good friend of José Andrés. We will have breakfast/lunch at the fabulous Mercat de San Josep, La Boquería, where we will sample the cooking of two of the legendary market bars, Pinotxo and Quím de la Boquería, and explore the market, where Gerry will introduce us to several of the key players that make this market one of the greatest in the world. For dinner, we will sample Ramón Freixa's superb food at El Raco d'en Freixa, Barcelona's top-rated restaurant. Afterwards, we will either go to the OMM hotel, one of the sexiest restaurant-watering holes in Barcelona, then our guests will have the option of drinks in the muy movida bar or visiting one of Barcelona's legendary night clubs. 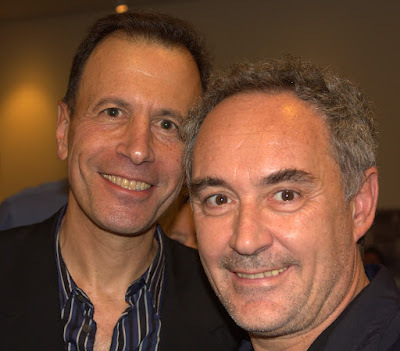 We will try to get our group into Ferran Adrià’s elBulli Taller workshop, but we can’t promise that yet. However, Ferran and his brother Albert are opening an upscale tapas restaurant in Barcelona in November and the bar should be open by the time of our visit, so we stop there for a drink at some point during our stay in Barcelona. Albert Adrià, José Andrés and friend at Inopia, the tapas bar in Barcelona that Albert recently sold. All photographs by Gerry Dawes©2010. By 11 a.m., we will head from Manresa to visit the Alicia Foundation, which Ferran helped to found. This institution that explores the connection between Alimentacion (food) y Sciencia (science) is more about exploring the science and healthful aspects of food. It is not a laboratory for creating the innovative new dishes that Ferran and the other vanguardia chefs are famous for, but it is a fascinating place that is not to be missed. Toni Massenes, head of the Alicia Foundation. Right next to the Alicia Foundation is the Angle Restaurant, where one of the best young chefs in Catalunya (and all of Spain) cooks. Gerry had an exceptional lunch there in March. After lunch, we will return to Barcelona, where the rest of the afternoon will be free to visit this amazing city. In the evening, we go on a tapas tour of Barcelona. Later, we will have the option of having drinks at El Velodromo, a Barcelona classic that was renovated and revived last year, after many years of being closed, by Carlos Abellan, one of Ferran Adrià’s best known disciples. The morning and afternoon will be free to tour Barcelona. In the evening, in la Barceloneta, at Can Majo, we will have our farewell dinner on such wonderful dishes as first-rate traditionally prepared mariscos (shellfish), paella and arros negre (black rice) cooked with squid and colored with squid ink, along with some local Catalan wines. paella de mariscos, shellfish paella, at Can Majó in La Barceloneta. Late morning flight to the U. S. Option to spend more days in Barcelona.